A friend who has adopted both through an agency and through the state system once compared his experiences for me. "The agency adoption was like a long train ride. It was slow, but we knew the stops along the way and our final destination," he said. 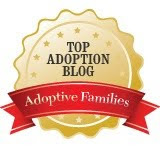 "The public adoption was like a roller coaster. Sometimes we were creaking up an incline, then suddenly speeding through a curve, and we never knew when we would be thrown upside-down." We chose the long train ride for Puppy's adoption and now again for our second. We've settled into our seats with our books and snacks and begun ticking off the stops as they roll by. Training workshop--check...intake interview--check...first home study visit--up next. Yesterday we were spiffing up for the home study appointment when our social worker called. An expectant mom, due any day, had contacted them about possibly placing her child. Her pregnancy is the result of a horrifically violent act that no one should ever experience. For 38 weeks she lived in secrecy and shame before finally confiding in her family. I cannot begin to imagine the grief and pain she is experiencing. She is unsure she even wants to look into her baby's face, much less pursue an open relationship. Because of some particular requests she had, we were the only family currently working with the agency who matched her preferences. Would we be open to the possible placement? After some long talks and soul searching, T and I realized we needed some more time as just Puppy's parents before bringing a sibling into the family. Through her networks, our social worker was able to find other families willing to come alongside this woman should she choose to place, so I am grateful she has other possibilities. And our agency's primary mission is options counseling, so they will assist her with resources should she parent. Our brief involvement ended in less than a day, just an unexpected stop on our train ride. But it has left me feeling spent and angry. I'm angry about a world in which women are ra*ped. I'm angry that the man who did this will never be punished. I'm angry that this child, adopted or not, will have to struggle with the knowledge of how they were conceived. I'm angry they will never know their biological father's name. I'm spent from crying for this woman, from knowing that adoption won't bring the closure she seeks. I'm spent from thinking about how open adoption must sound to an expectant mother who can't even bring herself to look at her baby's sonogram, how naive my arguments of love and moral rights seem in this situation. I'm angry at feeling that there is little I can do to help her. I'm tired of bickering over perfect world scenarios when we live in one where things like this happen. I'm tired of praying for justice, praying for change day after day and not knowing when it will come. I know just what you mean about the anger and sadness. God's grace covers even this though. In spite of the horrible crime I know there can still be love and joy in this child's life and in this mother's heart. The un-named father is not out of reach of it either. Grace and forgiveness can turn anything around. I will pray for them... I have seen with my own eyes what God can do. It's hard, this situation. But bless you for your compassion. And may this mother find the help she needs. I don't know what I expected to unearth as I dug through old posts in search of one containing anger...but this may be one of the most justified cases of anger and outrage that I've ever heard. 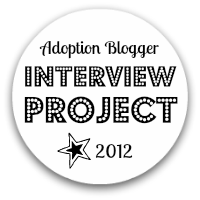 Your blog is a lovely testament to the hard work and also joy that can be a part of open adoption. And I can't wait to come back and read everything more closely. 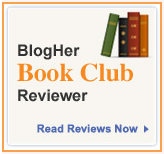 I love your lists of books and reading suggestions. I'm so glad to have found you.